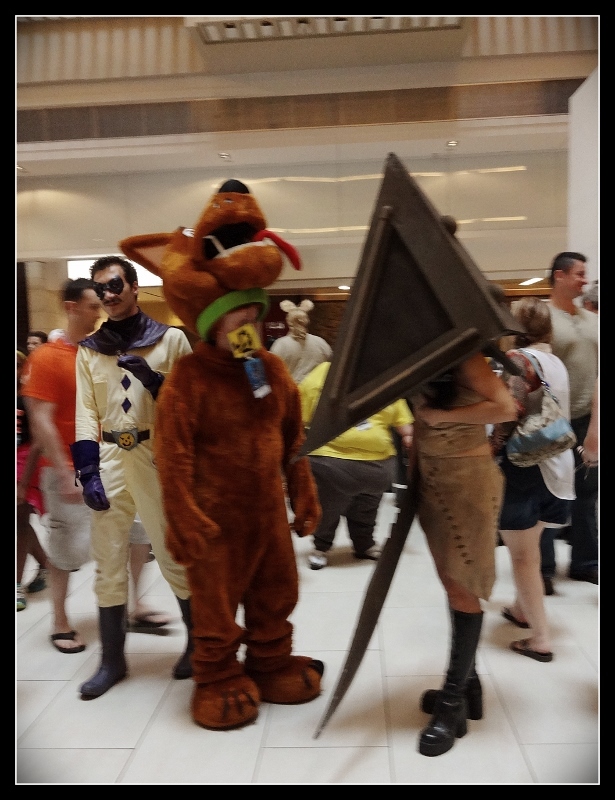 I swear I just got back from Dragon Con. How did two weeks possibly pass since then? Welcome to my September. 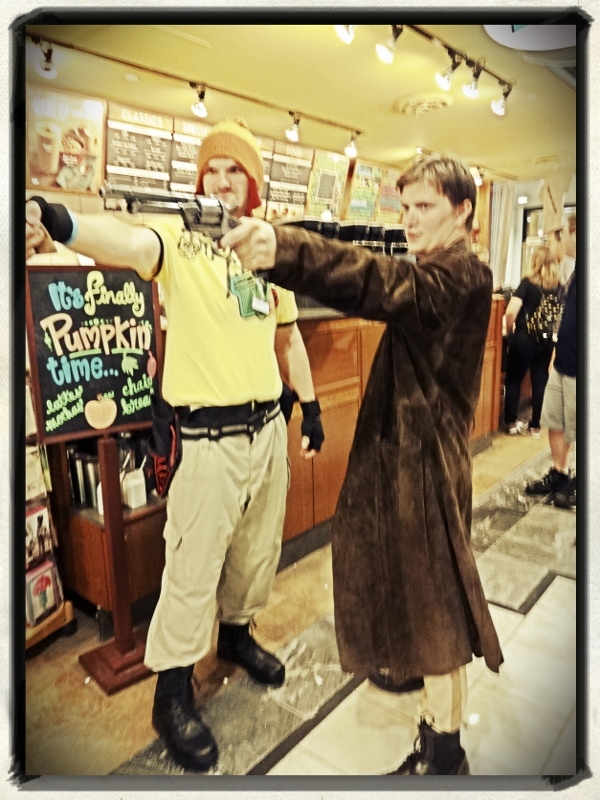 Since I did not get this up in time, you, dear reader, get something special. 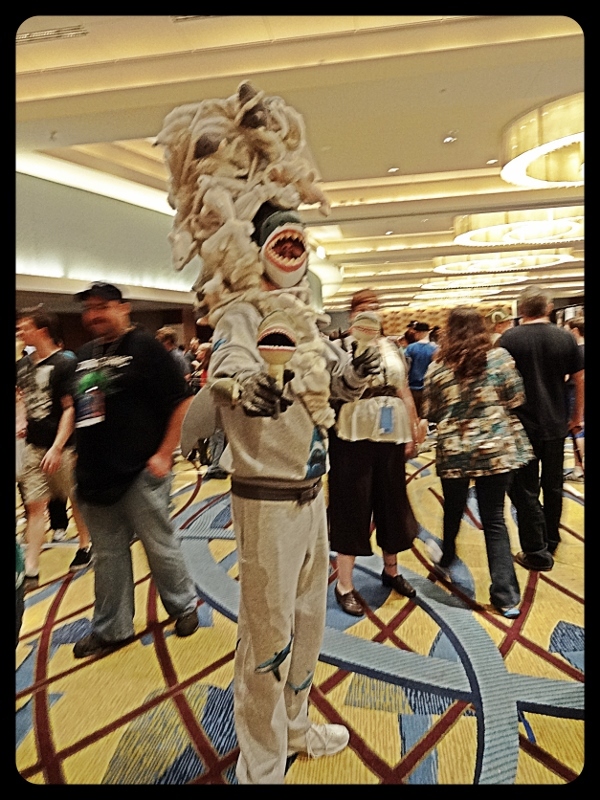 You get Nico’s “Dragon Con Sing-Along” Blog Post! Women with big guns, and Dealpools galore. Featuring The Big Bad Anthology. 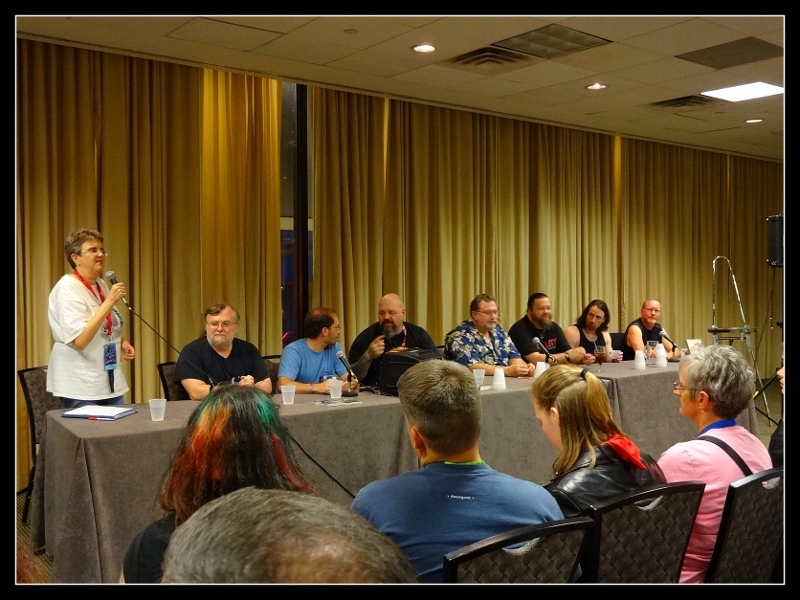 Now I can say I was on a panel – Squee! 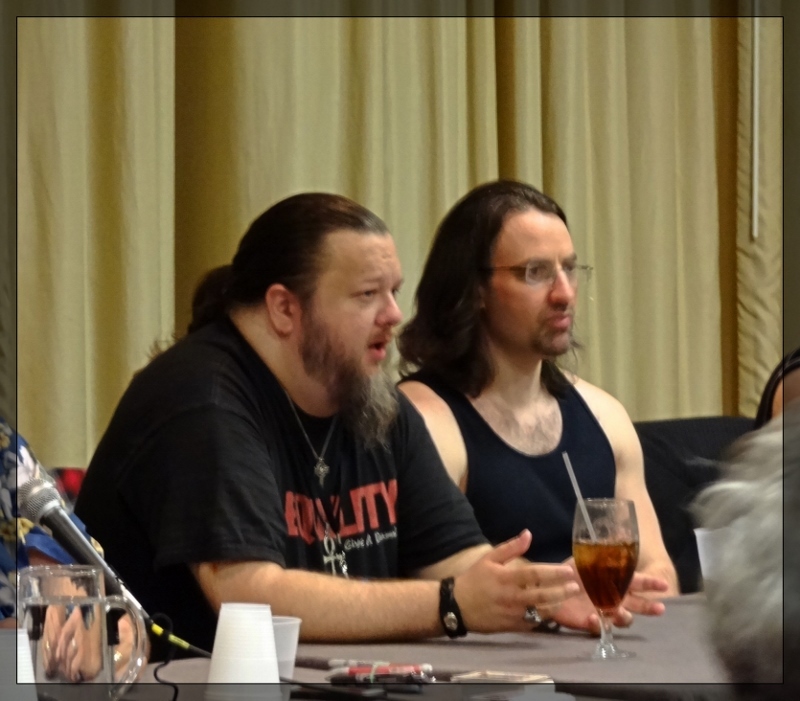 Men of UF – John, Tuck, and Jim Butcher! Drinks with writer folks but brain was like ooze. To the hotel with Jay and Margo. Snooze. Matrix Trinity riding the MARTA. Strange Kansas, Dorothy, this is not Sparta. Seeing sights I’ve never seen. 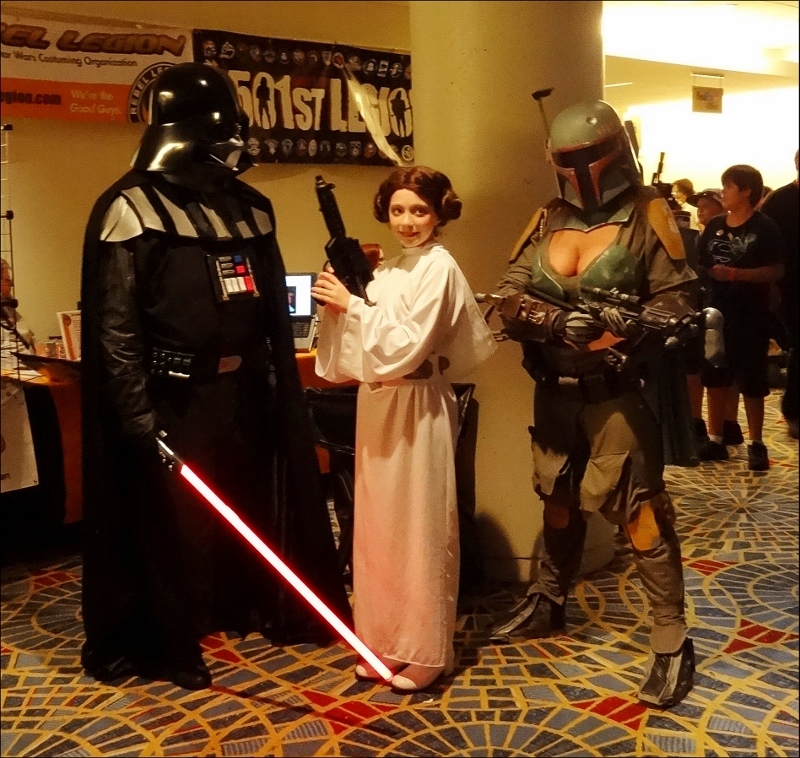 Ah Dragon Con, I love thee. My phone, it died searching for a signal. My schedule and friends’ were digital. No way of knowing the time or the place. For hours I hoped for a familiar face. With a side of Eliza Dushku and Miracle Lane. Hotel to hotel, I walked for miles. Like at my own Disney World, as a child. 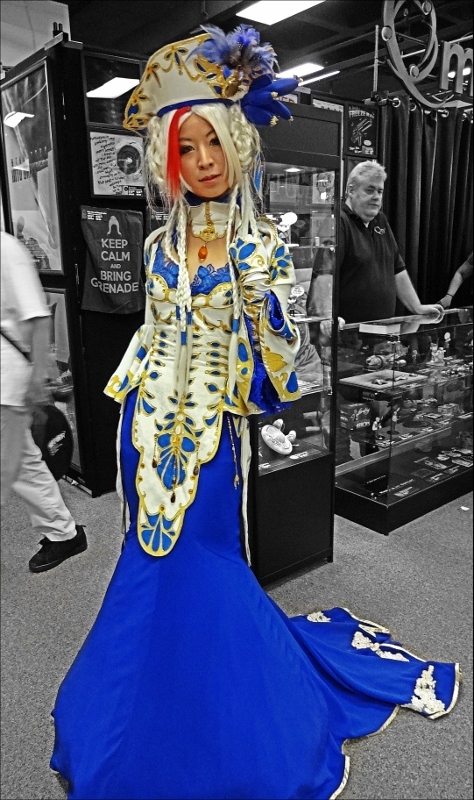 Creativity swirled all around me. 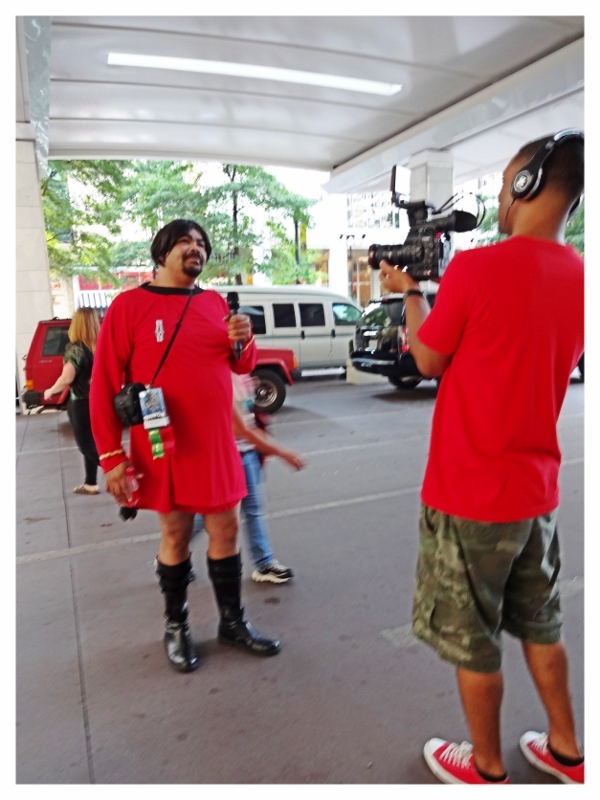 Dragon Con’s a magical place to be. So long, farewell, my feet are achin’, goodbye. 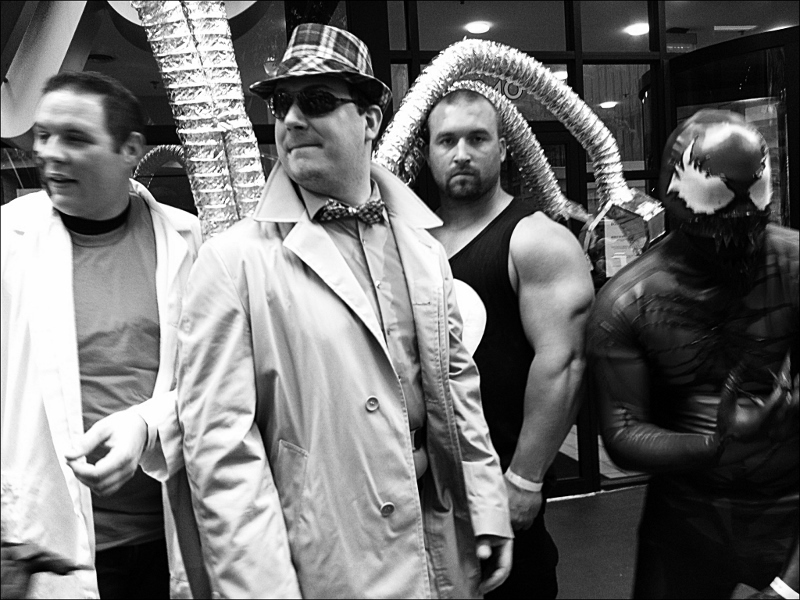 As the geeks leave, the gray clouds had their cry. Back to the real world mundane normalcy. 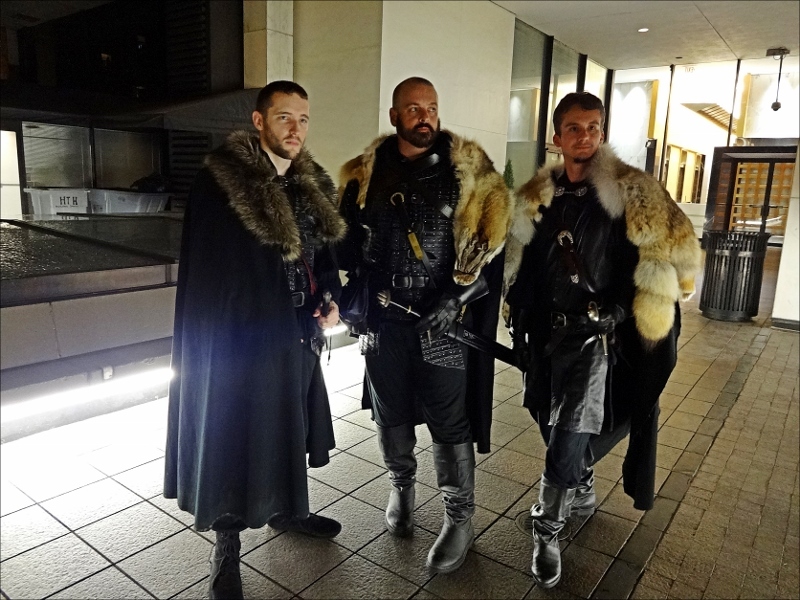 …”They aim to drink Pumpkin Spice Lattes”. 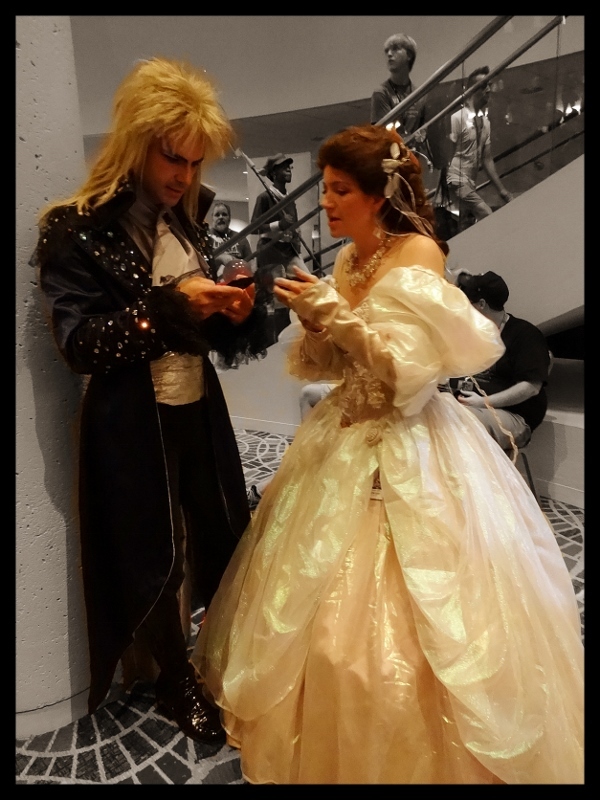 …Jareth, the Goblin King, having issues with his smart phone. Glad to know I wasn’t the only one. 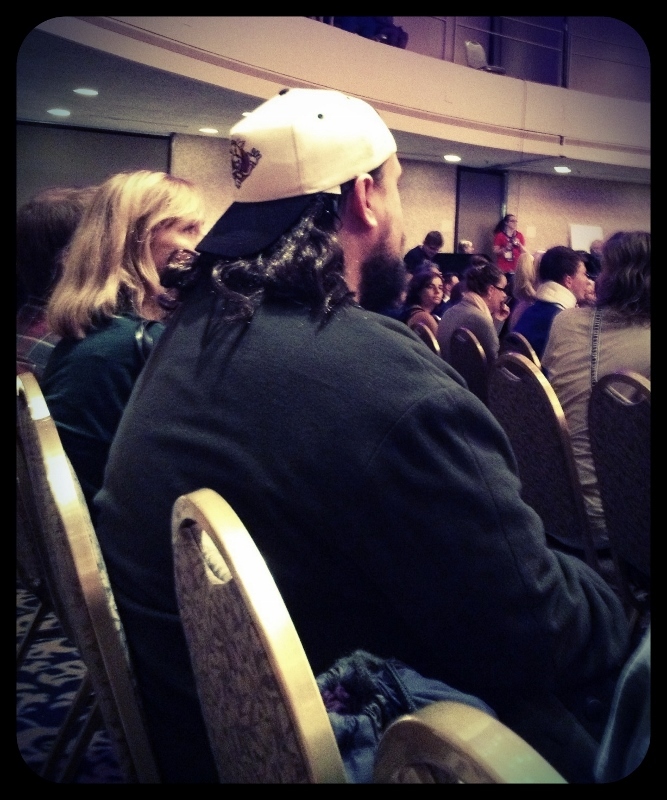 …Silent Bob, sitting surreally nearby. 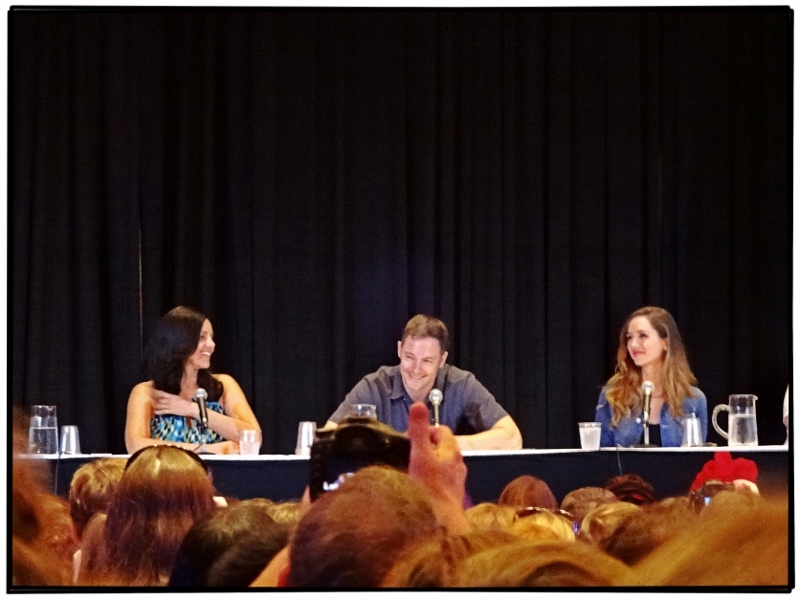 …and all of these people. Links to pics more excellent than mine. 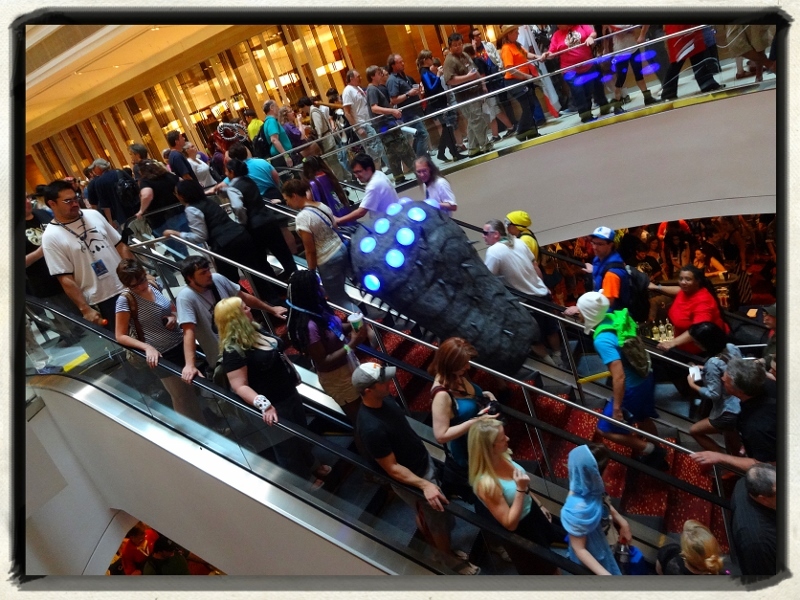 My friend and fellow writer, Darin Kennedy, writes about Dragon Con here as well. This is his photo taken at the last stop of the road trip back to NC – also friend and fellow writer Matthew Saunders, Darin, and me.